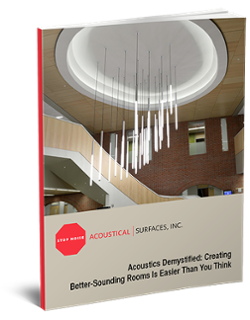 Metal isn’t usually the first material that comes to mind when talking about sound absorption products but when metal is combined with state-of-the-art acoustical materials, the results are outstanding in both performance and appearance. 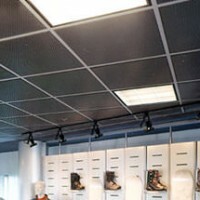 We carry a line of Acoustical Metal Panels with exceptional sound absorption qualities for use in any type of environment and application. 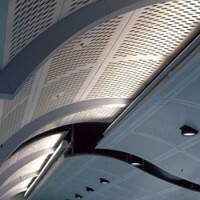 The perforated metal acoustical panels are strong enough to withstand demanding industrial environments while being visually appealing to fit in with high-end décor. 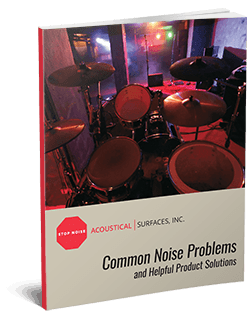 These affordable and easy to install options bring maximum sound control to restaurants, airports, concert halls, offices, retail, manufacturing facilities, and many more. 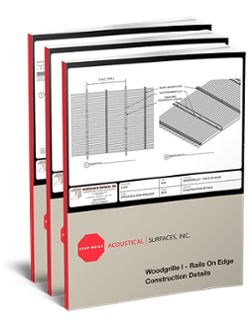 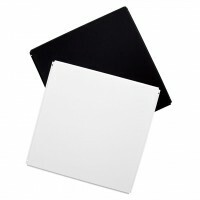 For an even more unique noise control solution, we offer a graphics option to customize panels to improve aesthetic pleasure even further.